Discussion in 'First Time Marijuana Growers' started by Dseb0127, Apr 15, 2019 at 4:10 PM. 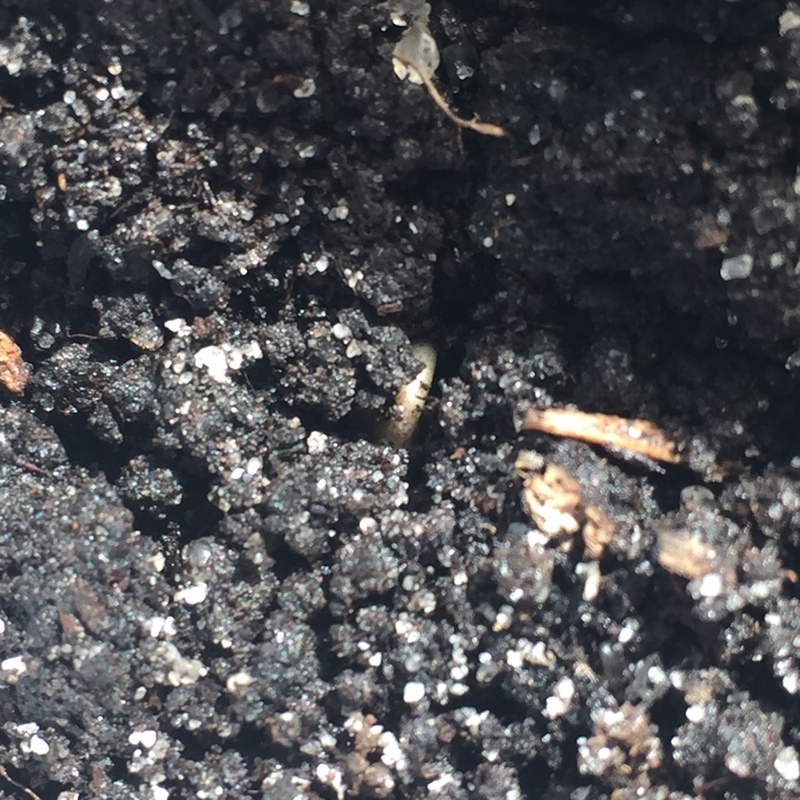 I just started my second grow 4/4 germ rate so far so good my babies have been in soil for about 24 hours now and I’m a little worried I didn’t plant deep enough because the taproot was almost coming out of the soil this morning I’m hoping I’m wrong and they’re just making their way up but can anyone tell me if I maybe need to add a little more soil on top or are my noob eyes deceiving me lol. I appreciate any feed back thanks everyone. Keep her warm, humidity high and moist. That is a normal seed popping. I like 20/4 for veggin'. Give the plant a little rest and the roots will grow faster I think with a little dark time. I think. Not for sure, but I read a big study or something that showed the benefits of a small dark period. I run 18/6, then 20/4, then 18/6 and then 12/12. Kinda trying to duplicate mother nature. Don't know if it amounts to a hill of beans, but that's what I do, and the plants never stress, no hermies or seeds, but I always run heavy, stable strains. I was reading a bunch of the stickys last night and I’m gonna do 18/6 after the first two weeks when I’m officially in veg as well, seems the general consensus is a dark period is overall beneficial. I didn’t find any scientific evidence but I read a lot of posts around here and see the big beautiful plants you guys grow and that’s good enough for me. Not that I have the best lighting yet but I do have the Florida sun that I’m taking advantage of so I’m hoping for the best (and reading like crazy). These are just bag seeds so I can get some experience before I start buying feminized seeds. Here they are so far the one in the first pic is growing like crazy. 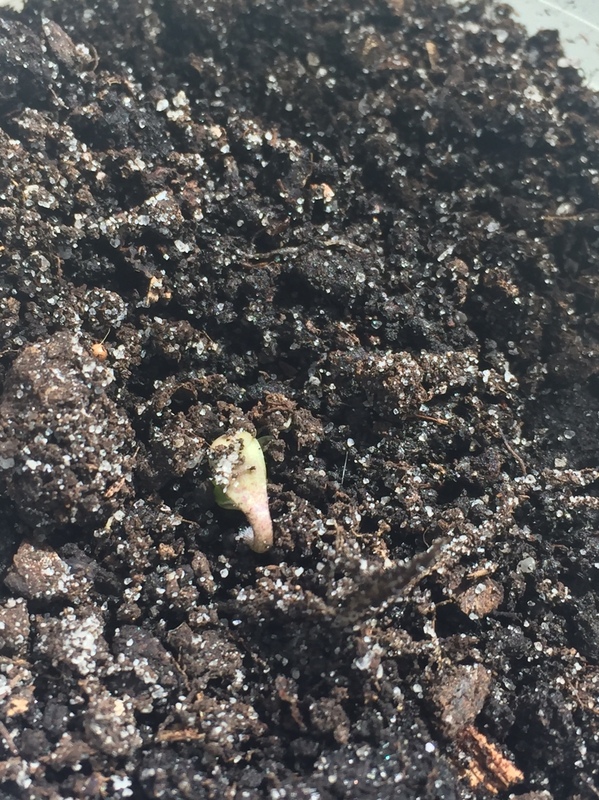 I lost one, the cotyledons never opened up fully and after it was dead I pulled it out to investigate and the seed was stuck on the bottom of the root but the cotyledons were up above the soil so I’m not sure what happened there I wish I would’ve snapped a pic. The three remaining are looking good. I just watered before pics so they look soaked but I’m being careful not over water.